– Signs I particularly enjoyed: “Our government can’t run, but you can.” “Furloughed government employee. Will pace for pay!” “Inspirational sign.” “Run ALL the miles!” <– I think that was my favorite favorite. There were two like that during the 23rd mile, and goodness knows I needed a smile during that mile. – I have blisters the size of Canada on my toes. I’ll spare you the photographic evidence, but suffice it to say I’ve never had blisters like this before. I had trouble falling asleep on Sunday night because every time anything touched my blistered toes, it hurt. – My parents sent flowers to me at work on Monday! I can count the number of times I’ve received flowers on one hand (and the number of times I’ve had a surprise delivery of flowers on one finger…haha), so this was just delightful and made me so glad I went to work on Monday. If only I had a way of bringing them home that didn’t involve the CTA. – An hour or so before I went to bed Monday night, my stomach all of a sudden started to hurt really bad. I figured I’d sleep it off, and when I woke up Tuesday morning I was ravenous, so I assumed it was nothing. Then after I had breakfast, I felt incredibly sick once again. Is this normal for 36-48 hours after a marathon? I don’t know if it’s a all-my-stress-is-over-and-now-everything’s-catching-up-to-me thing, or if it’s an actual reaction from running the marathon, or if it’s something else, but regardless, it was not particularly enjoyable. – Turnstiles on the CTA are evidence that Satan is real. Good heavens do those things hurt the day after a marathon. – I really, really enjoy marathon training. Even though I complained about it and the amount of time it took out of my life, I think marathon training is right up my alley. I like schedules, I like plans, I like order, and marathon training gave me 18 weeks of regimented running bliss. Big fan. – I actually don’t feel like I made any friends through my running group, but I still loved training with CARA. Part of this was my own fault–skipping long runs with CARA three weeks in a row due to races and being home and my tendency to be quiet in large groups unless I feel extremely comfortable did me no favors–and part of it is probably due to the fact that there weren’t many people like me in my group (i.e. : most of them were decently older than I am), but I was still somewhat surprised that I didn’t leave marathon training with the lifelong friends I expected. Regardless, I still felt a sense of solidarity with my 10:30 Awesomes, and man oh man am I going to miss running with them every Saturday morning. – I absolutely plan on running Chicago next year. Abso-freakin-lutely. I don’t know what the registration process will look like exactly–no one does right now–but I have every intention of doing whatever it takes to get into the race next year. I’ve been pretty seriously thinking about running the race since early September, made up my mind on the 20 Miler that I’d run it again next year, and fully decided to run when I found out next year’s date is 10/12/14 (it’s a college thing…at my alma mater, your graduation year is a big deal, and there’s this whole even year/odd year thing with classes mentoring each other for various things…2010 was our mentor, I was 2012, and we mentored 2014. aka 10/12/14 is pretty much the second greatest date ever [after 12/12/12, of course]). The only time I considered not running it again next year was around mile 24 or so, where I thought, “I don’t know if I ever want to go through this all again,” but even in thinking that, I also thought, “But then I can’t train with CARA again next year!” Haha. Plus I still desperately want to run a sub-5:00 marathon (ideally a significantly sub-5:00 marathon…like a 4:40 would be ideal, but I’d happily take 4:59:59 or faster). 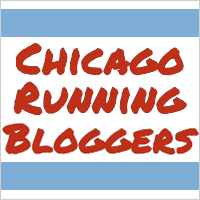 – Although I really hope they either place in me a corral based on my estimated 2014 Chicago finishing time or will let me move up if they place me based on my 2013 Chicago finishing time, because I do not want to be in Corral K. Part of me also wants to run a 2:05 half marathon so I can qualify for a Wave One start (assuming, of course, that the standards for 2014 are the same as they were for 2013), but that’s probably a *little* ambitious unless I actually start doing things like, you know, speed work. Or working hard in general rather than just casually running. Ugh. Difficulty. Haha. – This entire experience has been worth every single ache, pain, penny, early morning, short night: all of it. You can keep your physical comfort, your raging Friday summer nights, your weekday happy hours, your ability to have a meaningful relationship with someone other than your running shoes — I will happily trade all of that for what I accomplished on Sunday. I have never felt more loved, I have never felt more supported, and I have never felt more proud of myself than I felt on October 13, 2013. I feel like marathon training is so much more than just running and you really got to experience that. You SHOULD feel proud. You finished a freaking marathon! I love that you ran into Dennis at Fleet Feet. That’s just way too ironic if you ask me but I love it at the same time. Maybe you’re destined to be training partners 🙂 I’m with you on the feeling uncomfortable and quiet until you are totally comfortable. I do the same thing except I come across as kind of a bitchy person, for lack of a better term, when in reality I’m just afraid of people I don’t know. I should probably work on that so I can make more real life friends… or we can just be friends from afar. And since I’m thinking Chicago will possibly be my very first marathon next year, we could run together :)Or at the very least hang out! Hahaha, well, based on your speedy self, I think hanging out might be the better option, but YES! You should run Chicago next year! If you do decide you want to run it, let me know! you ran a marathon!!! how freaking cool are you. so amazing! omg this sentence ” I have never felt more loved, I have never felt more supported, and I have never felt more proud of myself than I felt on October 13, 2013.” was perfect. and this –> “my tendency to be quiet in large groups unless I feel extremely comfortable” is me. hope those blisters get better. Thank you so much, Caitlyn 🙂 I really appreciate it! My favorite two signs were the blerch and then the one that said “If Britney Speaks could survive 1997 you can survive this” I think I actually giggled reading it. I have no idea if the way you’re feeling is marathon-related or not. It’s possible if you were fighting a stomach virus, you’re actually catching it now? Immunity is down post-marathon so who knows. I hope you feel better soon though! I’m excited you’re thinking of running next year and I’m curious to see what registration looks like. Also, Blister Bandaids are so amazing for bad blisters. They’re pricey but are waterproof and last forever (like I pull them off a week later). Definitely worth it if you’re still in pain! A guy passed me wearing a blerch shirt! I tried to channel that kind of attitude, but this was at mile somethingteen around Pilsenish, and I was dying haha. I missed the Britney sign, though! Bummer! Stomach is getting better (thank goodness, because otherwise I’d have to skip the frozen yogurt portion of my frozen yogurt and massage recovery plan for the day, which would have been tragic!). I really think it’s mostly everything catching up to me all at once. And THANK YOU for that bandaid tip! I’ve been putting bandaids on them every day so I can wear shoes (waaaaay too cold to wear sandals right now! ), but they always fall off when I take my socks off. I’m definitely going to have to get those blister ones! Sunday was amazing! Even among the 40k finishers, each one of us felt special! My stomach has been pretty up and down Since Sunday, it is getting more steady, but I never did gorge myself after the race. I’m trying to settle down my food intake to a normal person for awhile. I’m glad you left the race with such a positive experience, the want to do it again, and got it down in writing to remind yourself to keep motivated on the dark, cold winter days! I never gorged after the race, either. I totally expected to be ravenous and I was really surprised to not feel that way at all. On the bright side, that means I can indulge for longer, right? Haha. Okay, this post made me kind of want to train for another marathon! I had a rough stomach during my first marathon and I did not have an appetite for a few days. Then it came back with a vengeance. Oh goodie! I’m excited for that part to come! Haha. The government signs cracked me up! So did the Jay Cutler one around mile 22 : ) So I don’t know if it is supposed to happen but I have the same tummy troubles…even today. I am starving…eat too much…and then feel sick. It’s really strange thing!